Lloyd Martinez, age 73, passed away peacefully on the night of April 8th, 2019 after living a full and spirited life. He was born in Santa Fe, New Mexico on August 28, 1945. He became highly respected in the building industry, utilizing his unique style of Santa Fe architecture and historic restoration. Every project was a labor of love. 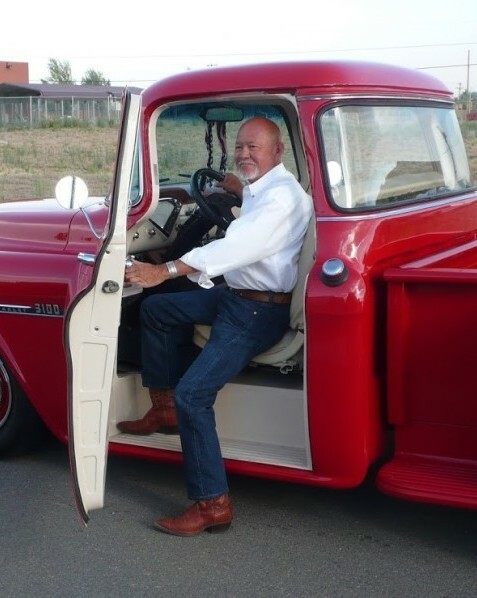 He was deeply involved in his community, often volunteering at Kitchen Angels, and being a member of the Santa Fe Home Builders Association. He received the Excellence in Remodeling Award for Best Historic Restoration from the Remodelers Council in 2006 and the Santa Fe Excellence in Remodeling Award from the Santa Fe Remodelers in 2009. He was also recognized by the Santa Fe Hispanic Chamber of Commerce Board of Directors in 2015 for Community Giving and Leadership Excellence. Outside of work, Lloyd and his wife Irene cultivated long term friendships that they nurtured throughout their years living in Santa Fe. Lloyd was kind, caring, never met a stranger and would give you the shirt off his back. He will be missed by the entire community. He is survived by his beloved wife, Irene in a beautiful union of 56 years. He is also survived by his daughter Audrey Lucero (Albert), siblings Robert/Buckwheat (Debra), Ken/Jimmy (Becky), Diana (Gerry), Donald, granddaughters Kayla Lucero, Michaela and Briana Martinez, and daughter-in-law Datha. He is also survived by his brother-in-law Paul Roybal (Gloria), Donna Saiz (David), Geraldine Chavez (Don), Melvin Roybal, Roxanne Diaz (Helly), and numerous nieces and nephews who loved their Uncle Lloyd. Last but not least, he was survived by Panda, his beloved four-legged walking companion. He was preceded in death by his mother, Alice Gonzalez (1995), father Felix E. Martinez (1963), son Arthur (2018), brother Felix (Sonny) Martinez (1994), and niece Kristin Martinez (2009). In lieu of flowers, please send donations to Santa Fe Animal Shelter and Humane Society at: sfhumanesociety.org or 100 Caja Del Rio, Santa Fe, NM 87507. Mass of Christian burial will be held at 9:45 a.m. on Tuesday, April 16, 2019 at the Cathedral Basilica of St. Francis of Assisi, Santa Fe, New Mexico.